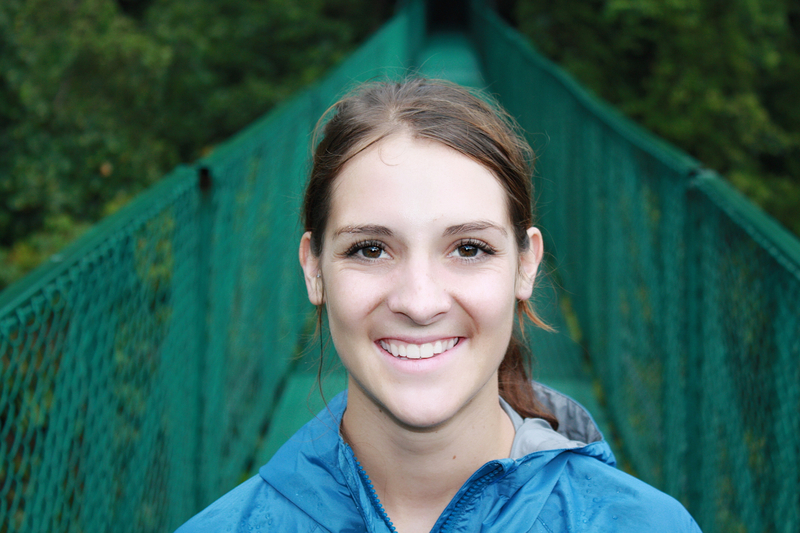 Your nose is stuffy, your energy levels are low and you’re ready to call it quits. It’s times like these when you need to a hot, strong tea to rescue the day. The perfect candidate for the job is ginger tea. As a spice, ginger lends a hot and spicy flavor. Many enjoy the heat surging through their nose and throat when consuming a ginger-laden food. The hot and spicy flavor of ginger translates well to ginger tea, which is a popular beverage in nearly every culture, including in the Middle East, south Asia and Southeast Asia. Ginger tea is also a popular remedy for motion sickness and nausea. The best part is that ginger tea is quick, easy to make and highly affordable. In this post, we'll be showing you how to make the best homemade ginger tea in 6 tasty variations to help make this spicy tea even more interesting. Ginger is a member of the same family of plants as cardamom and turmeric, which also make lovely teas. Ginger’s name comes from the Middle English gingivere, but this spice dates back over 3000 years to the Sanskrit word srngaveram, meaning “horn root.” Interestingly, ginger does not grow in the wild and its natural origins are uncertain. Ginger is now primarily cultivated in the humid tropics, with India being the largest producer. Ginger was used as a flavoring agent long before history was formally recorded. The Indians and Chinese used ginger as a tonic for over 5,000 years. It was traded from India into the Roman Empire 2,000 years ago, where it was valued for its medicinal properties. In the thirteenth- and fourteenth-century Europe, ginger was incredibly expensive. The cost of a pound of ginger was equivalent to the cost of a sheep. During medieval times, ginger was imported in preserved form to be used in sweets. Today, you can find ginger in a variety of popular treats, including gingerbread cookies, ginger sticks and ginger chews. Ginger has been used since ancient times to treat colds, fevers and digestive problems. Here's a few health benefits that come with consuming ginger. Consuming or smelling ginger is a folk prescription for dealing with motion sickness. A study using ginger to treat motion sickness was performed with 80 naval cadets. These cadets were new to sailing and were particularly susceptible to the motion sickness that comes with travelling through turbulent waters. They tested a placebo pill against a 1 gram ginger pill every 4 hours and asked the cadets how they were feeling. Those taking the ginger pill reported improved symptoms versus those only taking the placebo (1). Nausea and vomiting are common symptoms for many illnesses. A large review of studies looking at ginger's ability to reduce nausea and vomiting in pregnancy found that in over 675 research subjects, ginger was effective at controlling nausea with no adverse side effects (2). This is great news for anyone trying to control an upset stomach, whether or not you are expecting a baby. Ginger can also be helpful for other stomach ailments, including indigestion and bloating. Ginger contains a variety of compounds that help decrease inflammation, which is the root cause of many illnesses. For example, the flu's unpleasant symptoms can be partly attributed to the overactive inflammation of the body's immune response (3). Ginger tea can help soothe other flu symptoms like coughing, heartburn, achy muscles and headaches. 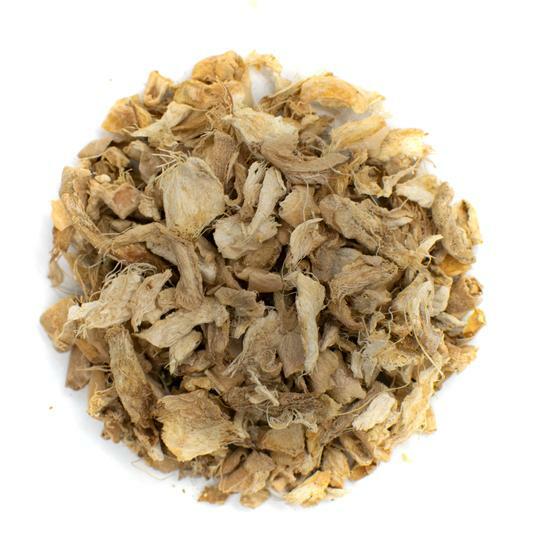 A dried ginger tea like ours gives you a smoother, richer flavor than fresh ginger. If you're short on time, the best option for brewing up a cup of ginger tea is with high-quality, ready-made ginger tea. This saves a lot of time, as you will not need to bother with prepping fresh ginger. The taste difference between fresh and dried ginger is subtle, and many prefer the taste of dried ginger as it's a little less spicy. Using dried ginger is a better alternative to using ginger tea bags, which will often yield a flat and chalky brew. 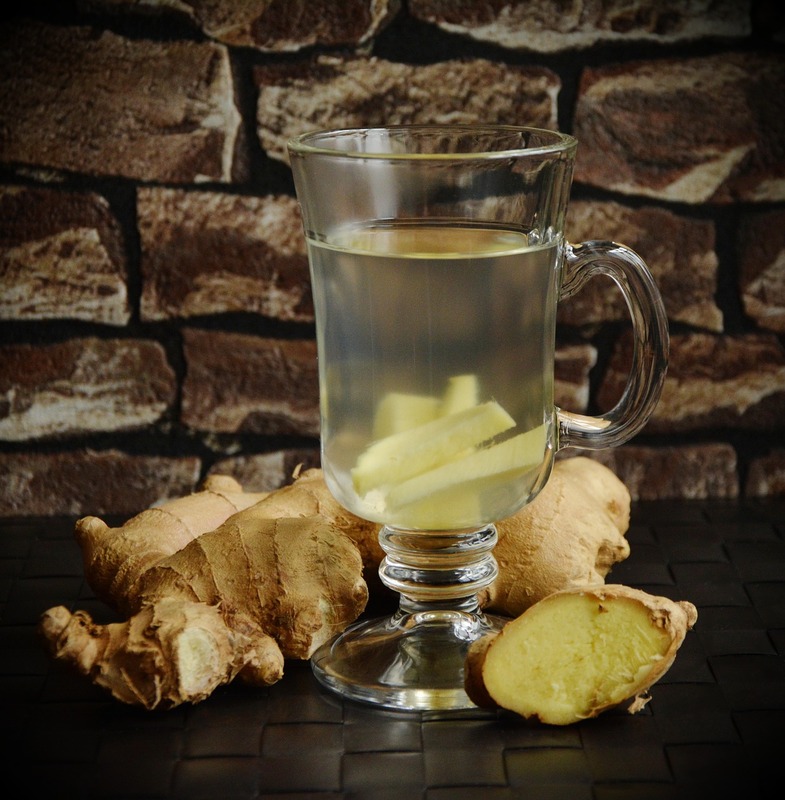 If you want a stronger ginger tea, use 2 heaping teaspoons of ginger for each serving. Use 1 heaping teaspoon for a more mellow brew. Pour the boiling water over your dried ginger pieces. If you've got more time and a few inches of ginger root available, making ginger tea from fresh pieces of ginger is a vibrant option. For this, you'll need a few extra pieces of equipment: a sharp knife, a grater or zester, and a strainer. Some people like to crush the ginger into a fine paste or juice and add it to hot water. 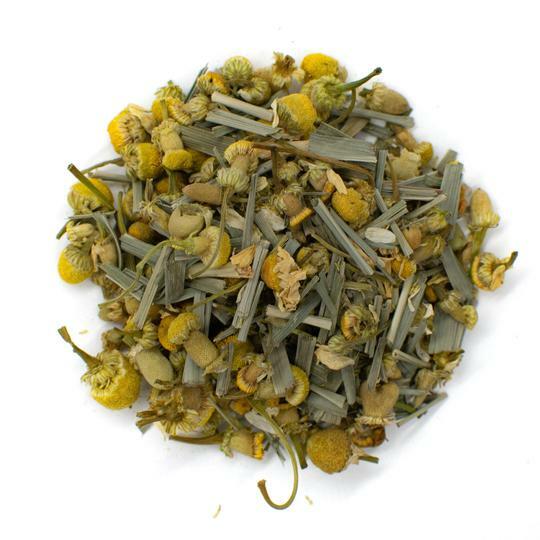 This makes steeping time shorter but adds more prep time and effort. Peel a 2-inch piece of fresh ginger. The amount of ginger you add will make the tea stronger or weaker, so experiment with different amounts to find the right balance for you. Bring 2 cups of hot water to boil. Either cut the ginger into very fine slices or grate the fresh ginger roughly. Set aside your ginger aside while the water finishes boiling. Once water has reached a rolling boil, remove from heat and immediately add the ginger. Put the lid on the pot and let the ginger steep for 10 minutes. Strain the tea into a large mug and enjoy. If plain ginger tea isn't exciting enough for you, here are some pairings and preparations to elevate your ginger tea. Apple and cinnamon sweeten the ginger tea and accentuate its warming and comforting aspects. Place a few thin pieces of apple and a 1-inch cinnamon piece to brew with your fresh or dried ginger. The acidity of lemon juice helps diminish the spiciness of ginger, and is also very soothing to sore throats. 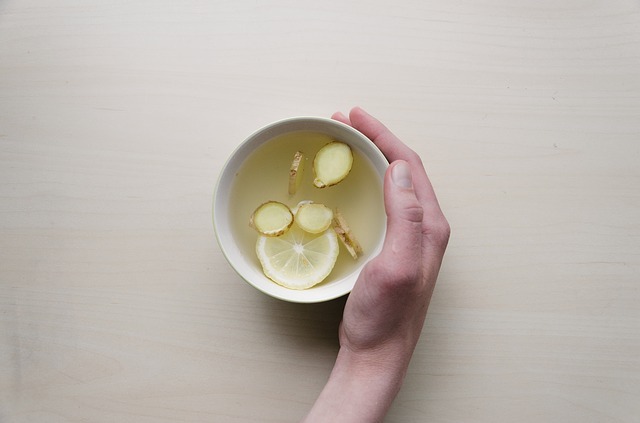 Simply squeeze a quarter of lemon into your cup of ginger tea before consuming. If you love ginger ale, you'll love the sweetened version of ginger tea. With its rich taste profile, maple syrup is the ideal sweetener for ginger tea. You could also use honey or stevia. 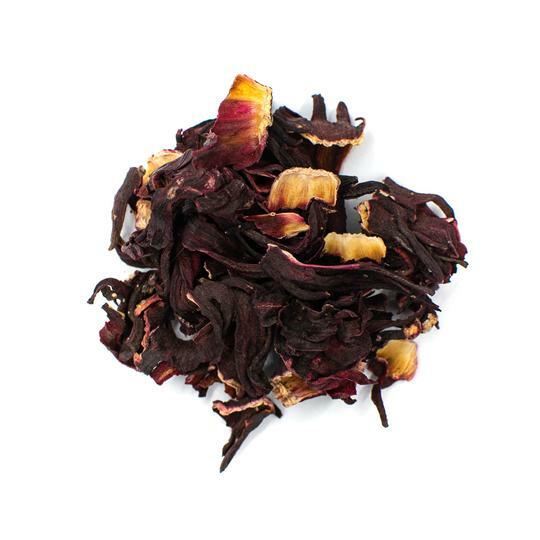 This ginger tea variety is perfect for warm days when you need a boost without the heat. To prepare, let your ginger tea cool to room temperature and add ice cubes, or place your strained ginger tea into the fridge until cool. When cool, add a few sprigs of mint to your batch. Not for ginger tea novices! If the spiciness of the ginger isn't enough, add a generous a sprinkle of cayenne pepper into your brewed ginger tea. This combination is sure to wake you up. Combine the healing powers of tumeric with ginger for a superfood tea. Simply add a 1/2 teaspoon of turmeric powder to a cup of brewed ginger tea for an exciting taste profile and an antioxidant-rich tea. 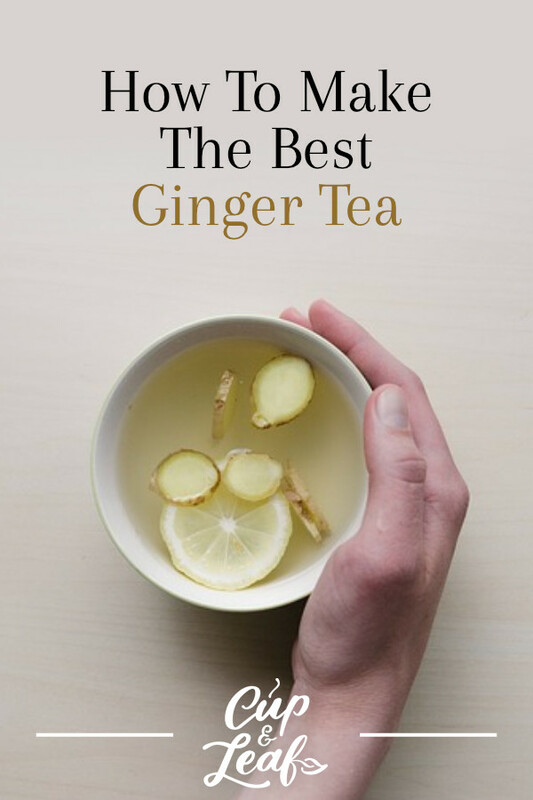 With so many benefits and possibilities, it's easy to see why ginger tea is one of the most commonly enjoyed teas in the world. Whether you've got a cold, a sweet tooth or simply love an extra kick in your cup, ginger tea is the tea for you.